I can proclaim that blogging is no more just a hobby. It’s slowly and steadily becoming a main stream career option. From school students to super moms, everyone is joining the blogging bandwagon. And it’s nice to see that people are finally contributing to the internet. Be it in the form of stories, anecdotes, travel and food reviews or gadget / auto reviews. There’s so much original content being generated (and consumed too). With so much of blogging around, brands have realised the potential of blogging. Many brands are approaching bloggers for a review post of their product or with a product placement strategy. Brands (read Good brands) are interested in the number game. They are keen to have a close look at your blog statistics (Alexa Ranks, Domain Authority, Visitors etc.) and bloggers too are paying a lot of attention to it. With so many metrics around, Google decided to pitch in an app that will help bloggers to find these metrics along with other insights to help you blog better. Well I too have a app for bloggers to share their blog posts – Blogzzy. Anyways, Google pitted a new app – Blog Compass – aimed primarily at bloggers. However, it is still in beta phase though. Further, I’m proud to say that I’ve been one of the first bloggers to test this app – months before it was available with other platforms like IndiBlogger. Around May, I was approached by the team to use Blog Compass and share my inputs. Well, now that it is available for all, here are the Top 5 features of Blog Compass that I like. The Visitor Stats is at the heart of Blog Compass. The first screen you see after launching the app is the visitor screen. It by default shows the percentage change in number of visitors from the last 7 days. I would still prefer a weekly chart like the one in Jetpack for WordPress. Since this is connected to your Google Search Console account, the visit stats are pulled in from there along with some algo in place. The app shows a clean chart for weekly, monthly, and yearly stats along with the traffic sources. Blog Compass also shows some interesting stats about how your individual posts are performing on Google search. These details are already present in the Google Search Console, but it takes some time to find it. Google’s Blog Compass shows the list of posts along with the search term for which the post showed up in search results. Not only that, it also shows how many times it was shown and how many time people actually clicked. These are some great insights helpful for any blogger. We know Google is the biggest search engine in the world and their insights have got to be the best. Harnessing the huge amount of search queries, Blog Compass takes advantage of that and suggest topic for you to write. If you are running out of ideas to write a post, do head out to the Topic Suggestion tab. These show the trending topics as well as topics related to your blog niche. Another great idea to implement. I’m sure most of us run out of ideas to blog and that’s when this will be most helpful. One reason why I envy YouTubers is the support from the platform. The Silver, Gold, Diamond Play Buttons, Creator Camps etc are only encouraging creators to upload more quality content. And something of that sort is really missing for the Blogging fraternity. 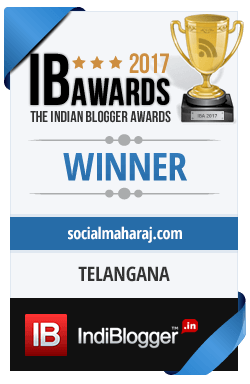 There are some like Indiblogger who are rewarding bloggers with Top Post and Indian Blogger Awards, but I don’t know anything that is happening on a larger scale. (If you happen to know any, please mention in the comments below) Google is trying to it’s bit with the Blog Compass app. The app rewards bloggers with badges for number of visitors, number of posts and much more. These badges can be earned on a monthly basis and are purely based on the numbers your blog generates. I’d say this is a small but great step in the right direction – Motivate Bloggers to produce quality content. Last but not the least, the learning Centre in Blog Compass is quite insightful. From giving tips of best practices to write a post to increasing readership of your blog, Blog Compass provides some really helpful articles. Not only these, but articles about SEO, Webmaster tools and things of that sort too are present. The list is nicely curated and the information that this part of Blog Compass provides is helpful. Nice review Atul – even we are using this app and totally loving it. Having fun managing the comments within the app 🙂 – Easy and Fast, very useful for bloggers to understand their work by their quick stats. I’m sure Google may be using this to analyse blogging world – need to see how they use this data. Thanks Shravangaru. It’s a good app with good insights. Would have been great if it included other details like PA,DA, Moz, Alexa etc. Thanks, this is a good app. Will help you understand how your posts are doing on the internet. Yup. I’ve already started using it, and it has some nice insights. I especially like the total views per post. Let you know what does well and what doesn’t. Yes, this app has been so useful Atul ji, I too participated in that study and glad that it turned successful. The app helps build in content close to the trending topics, and keep giving us right impressions on traffic etc. Blogging is still very disorganized in our country. I hope and pray for it’s and our better future. Exactly ! This is helpful when you are in that writer’s block and aren’t finding anything to write on.